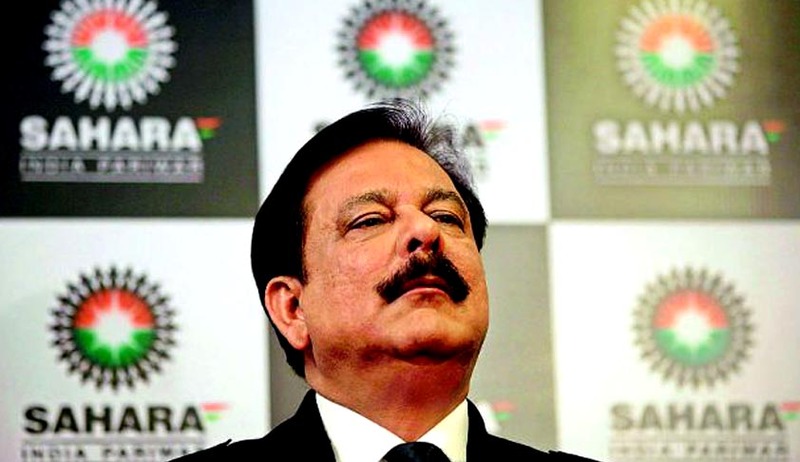 The Supreme Court on Thursday granted relief to beleaguered Sahara Group boss Subrata Roy, but warned him that he would be sent back to jail if cheques given by him today are not realised by June 19. Sahara has given two cheques of around ₹ 2,000 crore and commited to pay ₹ 3,000 crore more by October end. Roy was present in the court with his battery of lawyers pursuant to court order. The court fixed the reserve price at ₹ 37, 392 crore for the auction of Aamby Valley property in Mumbai. Official liquidator Vinod Sharma was directed to place on record the draft notification for court's approval. Roy's counsel senior advocate Kapil Sibal furnished an affidavit of undertaking to pay ₹ 2,000 crore by October. He also requested court not to send Roy to custody as he has to generate the money and committed to pay the principal amount of ₹ 24,000 crore to SEBI account. A three-judge Bench headed by Dipak Misra said: "Sometimes, the offer looks like a mirage and sometime sprinkle...."
The court warned him if the cheque leaves he had submitted are not realised by June 19, he would be sent to jail. In the meantime, the court sent former journalist Prakash Swamy to one-month jail term for contempt of court. Swamy, on behalf of an American company, had furnished an affidavit to deposit/transfer ₹ 10 crore in connection with sale of Sahara's property Plaza Hotel. The court reminded Swamy that the special court had to assemble to consider his application. He had failed to deposit the amount till date. “You have taken the court order for granted. You are tempted by the offer given to you by the American company,” the court told him, rejecting Swamy's submissions that he had acted for the company as its owner was known to him and requested to take a lenient view so far as sentence is concerned. The bench said: "Sometimes temptation leads to confinement", and directed the police to produce him before the registrar concerned, who will issue warrant to send him to Tihar Jail.